Join Shawnie Kelley, author of Discover Cape Cod and Wanderlust Tours owner, for an exclusive, private tour-de-Cape Cod, beginning in its oldest village of Sandwich and ending at the colorful “sandy fist” of Provincetown. Cape Cod is celebrated as the forbearer of our country’s heritage. Massachusetts’s windswept peninsula is a sensory driven place, a living landscape full of history and legend. Like her book, Shawnie’s Discover Cape Cod tour brings history and travel together in ways that make exploring the Cape a rich, educational, and active experience. Cape Cod’s 400-year history is brought to life as our intimate tour visits important historical sites and museum collections, beaches and lighthouses, harbors and restaurants. We visit one of the country’s oldest homes and windmills; get up close to an unprecedented pirate ship’s treasure; and experience Cape Cod’s Portuguese heritage first hand. Shawnie shares stories of maritime disasters, the Kennedy family, and the economic rise and fall of Cape Cod’s whaling, cranberry, and glass making industries. Guests also receive a copy of Discover Cape Cod and a if you are in Columbus, a pre-travel seminar at Upper Arlington’s Lifelong Learning is included. Wanderlust Tours specializes in small group cultural and culinary travel. The Discover Cape Cod tour welcomes six to ten guests for a six-day, fully guided excursion around the Cape. It includes luxury accommodations at boutique hotels or historic inns; a private driver; admission to attractions, museums, and historic properties; a harbor boat tour; and you’ll learn all about Cape Cod through its architecture, food, history and in-depth walking tours with Shawnie or other local experts. Most meals, snacks, and some drinks are included. Free time is built into the itinerary to explore or dine on your own. Arrive at our historic hotel in Sandwich. After a welcome cocktail meeting and greeting our small group at the inn, Shawnie leads a walking tour of through the heart of Sandwich, sharing stories of Cape Cod’s oldest town settled in c.1637 (incorporated in 1639). It ends at the Sandwich Glass Museum where collections showcase America’s cutting edge glass industry and we watch an old-world glass blowing demonstration. Afterwards, we share an early dinner together at the inn’s wonderful restaurant, ending the night with an optional nightcap in the tavern. Our first full day is spent exploring the villages along scenic Route 6A- “Old King’s Highway.” Colonial Cape Cod is seen at its best as we stop in to a few seventeenth century homes in East Sandwich, including the oldest continuously-owned family house in New England. A leisurely drive through picturesque villages ends with lunch at Old Yarmouth Inn– Cape Cod’s oldest eatery. On the return trip to Sandwich, we stop to tour the country’s oldest wooden jail in Barnstable village, spend some time at the Coast Guard Heritage Museum (with an exhibit of one of Shawnie’s favorite stories to write!). Dinner is on your own in Sandwich. Walk to a restaurant, eat at the inn, or join us as we head to the British Beer Company. Today, we make our way to our second hotel in Chatham, making a few stops for photo-opportunities and spending the afternoon in Hyannis. After a visit to the Cape Cod Maritime Museum and a boat tour around Hyannisport harbor (yes, we will see the Kennedy Compound), take some time to explore and have lunch on your own somewhere in walkable Hyannis or at the marina. We arrive to our hotel in Chatham late afternoon. After a guided walking tour around town and to the waterfront, we share dinner together at one of the town’s fantastic seafood restaurants. Anyone still feeling social can join in an optional nightcap at one of the local haunts. After breakfast on your own in Chatham, we head to the National Sea Shore, stopping in at the Visitor’s Center to learn about the local flora and fauna. Here, you can spend a little time on your own or join us for a hike around the Great Marsh. Dig in to some po’ boys and fish sandwiches for lunch at an iconic seafood shack in Wellfleet, the Oyster Capital of America. En route back to Chatham, we visit historical Marconi Station- site of the first wireless trans-Atlantic message, then catch a little late afternoon surf and sun Nauset Light Beach, where the lighthouse is open for tours and the beach is spectacular. Enjoy dinner on your own in Chatham. The Lower Cape is calling! A trip to Provincetown is never anything less that fun and occasionally eye-opening. If you forego an early breakfast on your own, we will have morning snacks during the journey to Cape Cod’s “sandy fist.” First stop: the Whydah Museum to see an extraordinary pirate’s treasure. Then, we’ll enjoy a clambake style meal at an iconic waterfront restaurant. After lunch, join Shawnie for an architectural walking tour or spend free time wandering the colorful sides streets of P’Town on your own. Of course, we will carry out pastries from the famous Portuguese Bakery for the ride back. 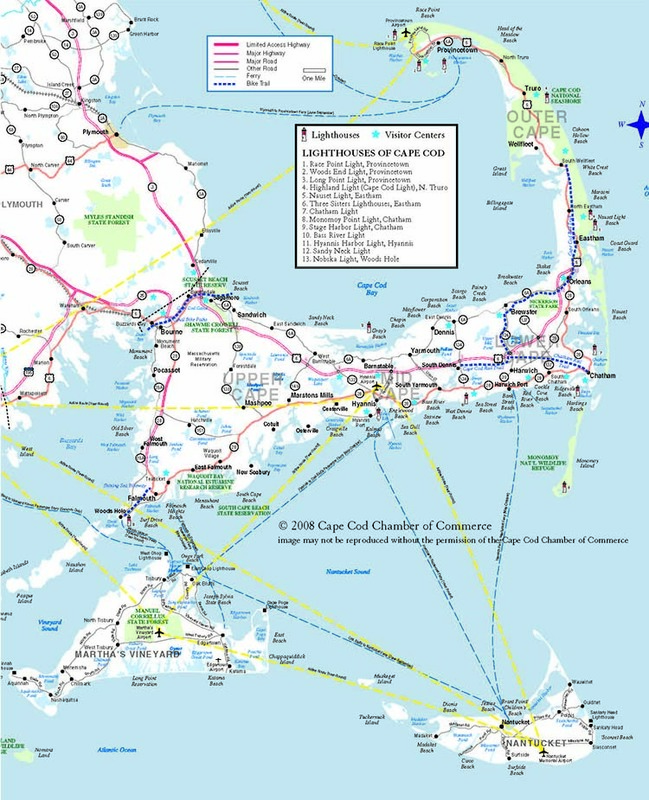 En route to Chatham, we will stop at another National Sea Shore beach, Cape Cod’s first commissioned lighthouse, and arrive just in time for a happy hour wine tasting at the acclaimed Truro Vineyards. We will share a special final dinner together later this evening. After breakfast on your own and checking out of our hotel, our driver takes us back toward Hyannis, where the tour ends. Along the way, we will make several stops for “classic Cape Cod” photo-opportunities, make quick visits to a few historic windmills, and share a final lunch together at the Skipper Restaurant, famous for their award-winning clam chowder. We will arrive at Hyannisport, where you can carry on for the rest of the weekend on your own or say good-bye to Old Cape Cod. We can also help you to arrange transportation back to your respective airports.